Having worked with veterinary professionals for over 10 years, you could say we know a thing or two about your practice’s needs. Your practice’s worth doesn’t stop at the building itself. 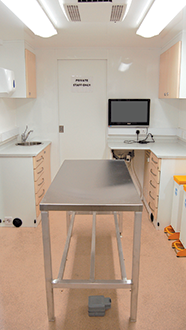 We understand the value of your drugs, medical stock and animals whilst in custody of the practice. With your practice being vulnerable to many risks, it’s important to calculate the right levels of cover. From the time our team takes to get to know your business to our in-house claims support, we go the extra mile to ensure you are fully protected when arranging your veterinary practice insurance policy. 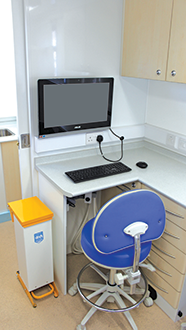 When a veterinary practice suffers damage and is unable to use any one of their treatment rooms, it can cause a lot of disruption to pet owners, staff and the balance sheet. 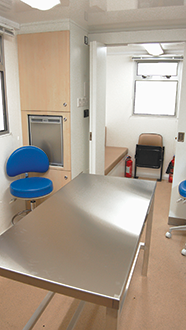 That’s where our Mobile Veterinary Clinic comes in. 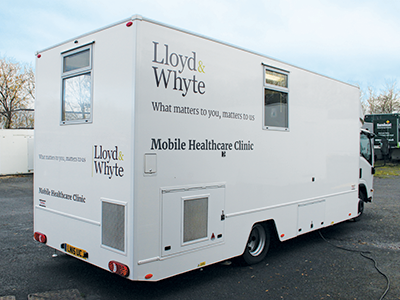 As part of your policy, this custom built vehicle allows you to carry on providing your pet owners with the same high standards of care they’re used to. 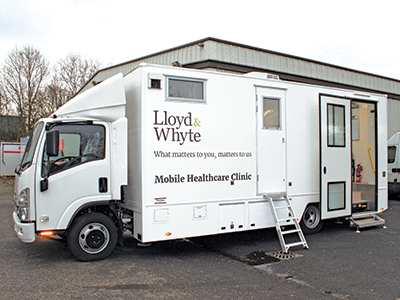 As the Mobile Veterinary Clinic will be ready to use on arrival, all you need to decide is where to run it. This is usually the practice car park, but if there’s no suitable space a local supermarket will usually be happy to lend you space in theirs. So should a crisis such as escape of water strike, you can rest assured that your business can stay afloat. To find out more about what our veterinary practice insurance covers, read our Vet Practice Insurance Policy Guide.